They are also located in HancockMA, Kingsport TN, Piedra Negras Mexico, Los Angeles CA, Kittaning PA and one at Ft Cody in North Platte NB. 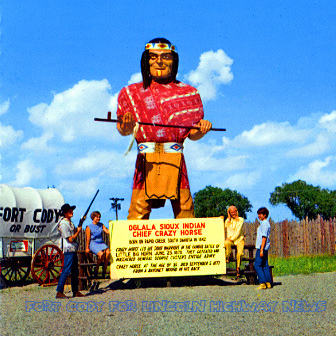 The one at Fort Cody interestingly enough looks like an indian version of the muffler man but upon closer inspection it’s actually a service man model with a bow tie just dressed up as an indian. There may be more bow tie versions out there, if you know of any let me know! 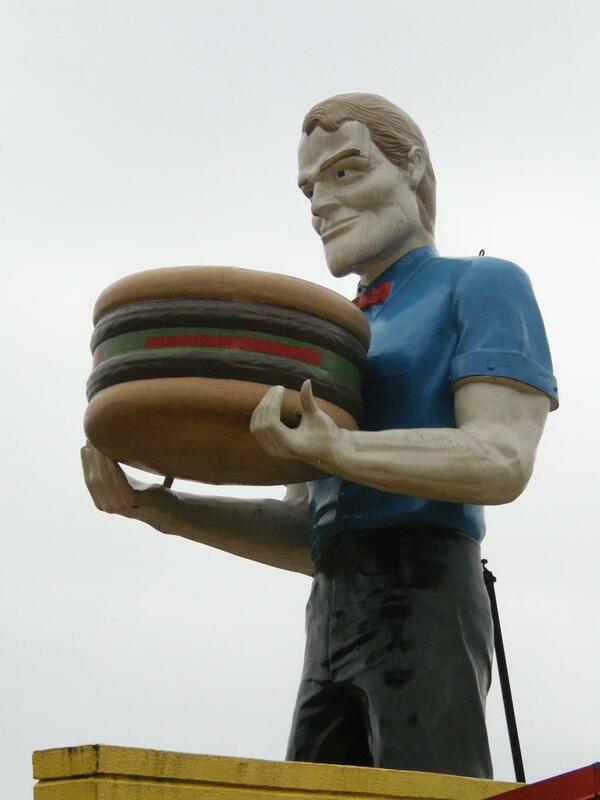 Special thanks to Amy Ryder for sharing her picture of the Kingsport Muffler man. Visited this M man on 2-1-11 and back then he was in pretty rough shape with pealing pant. On a recent visit I found him in much better shape with a fresh paint job. 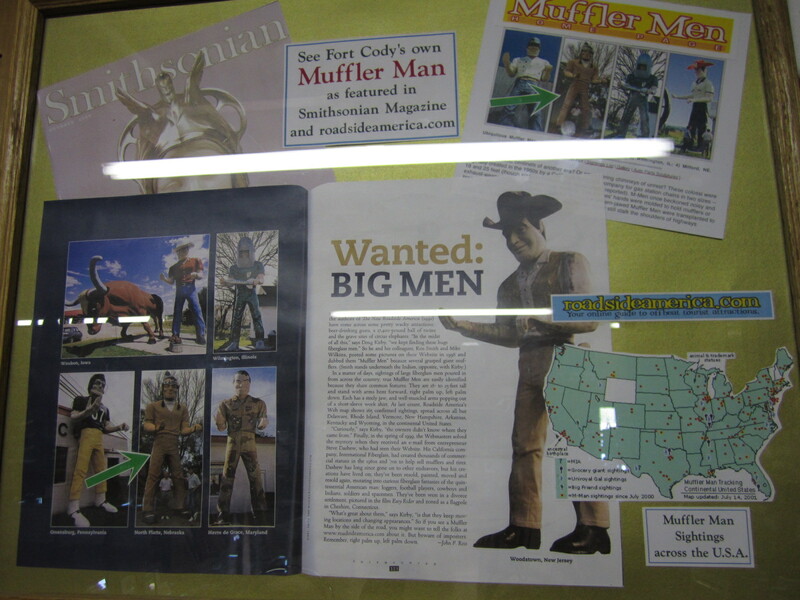 Also talked to his owner Steve who owns four muffler men in the Tampa Bay area. Steve’s business Bigmechanic.com uses the muffler men for his companies mascot and even changed the name of his business to better match with the giants. 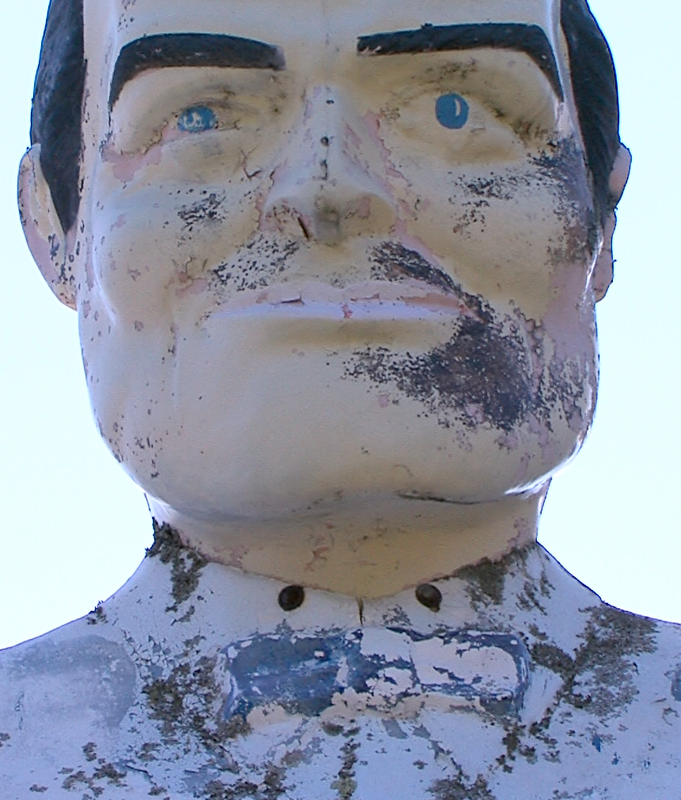 The Zephyrhills M Man is one of the rare bow tie versions and was moved a few years back from Seven Points Texas. Steve keeps a close eye on roadsideamerica.com and other muffler men sites and is always on the lookout for other muffler men to put at his remaining auto shop locations. 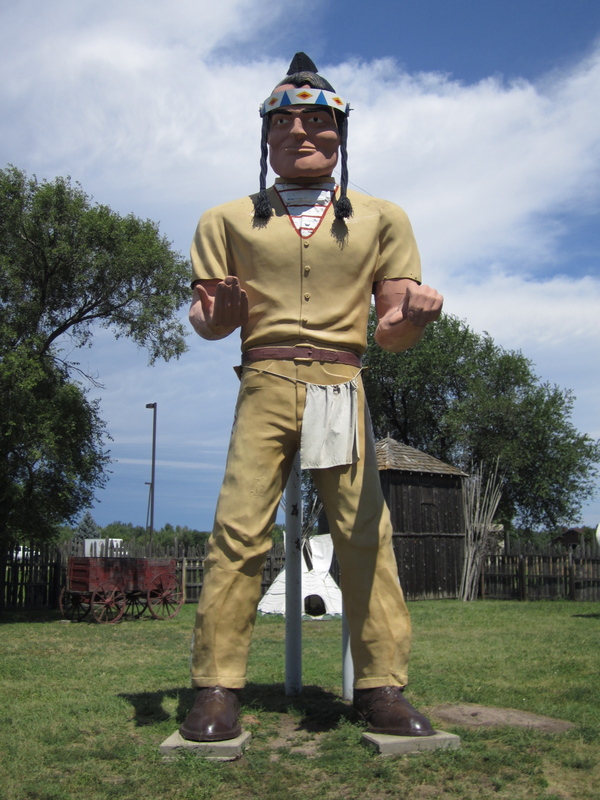 He came across the Seven Points muffler man while on a vacation in TX standing in someone’s front yard and looking run down. He was clearly an old Phillips 66 cowboy and after waiting a year for the owner to make up their mind if they were willing to sell Steve was able to go out and haul this giant to his Zephyrhills location. All of Steve’s muffler men hold a wrench he has made in his shops.